Panaji, May 8 : The economic slump caused by the mining ban in Goa has forced Audi to change tack as far as sales strategy in the state is concerned, a top official said Wednesday. With mining banned in Goa, after a multi-million dollar scam, and the state's economy on the downswing, Audi has been forced to introduce and push the Q3, one of the cheapest but flagship SUVs, in the Goa market, said Venkat Muppana, managing director, Audi Goa. 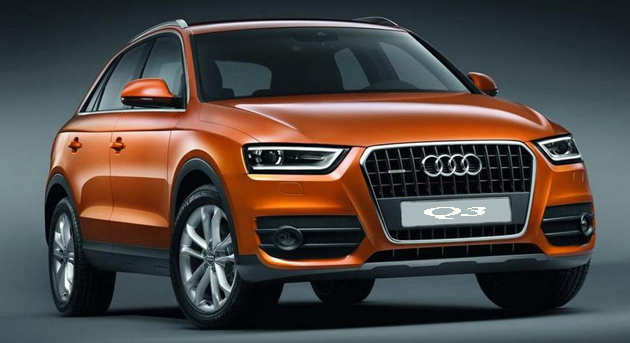 "The company supported us by providing the Q3 SUV, which is in the range of Rs. 30 lakh to counter the economic downturn," Muppana said, confirming a change in the company's sales strategy for Goa. Muppana was speaking to reporters on the sidelines of a media event where luxury car manufacturers were showcasing their sports cars. Over 150 Audi cars run on Goa's roads, Muppana said. Mining in Goa has been banned by the Supreme Court since October last year, bringing all activity, including transportation of already mined ore, to a halt. The ban was imposed by the Supreme Court on the basis of a petition filed by environmental NGO, the Goa Foundation, represented by senior lawyer Prashant Bhushan.